This second volume of Leslie Evans’ Shaggy Man essays offers fifteen new selections. “On the Track of the Elusive Baron Long” offers the only extensive biographical sketch of one of Southern California’s most fascinating characters, creator in the little industrial city of Vernon, California, what is reputed to have been the first real night club in America. Long later hired a nineteen-year-old high school dropout to design the most exquisite and expensive hotel and casino in the Western Hemisphere. Two pieces look at Peak Oil, challenging today’s hype that fracked oil in North Dakota and Texas will solve America’s energy problems. “Symptoms of U.S. Decline” presents statistics that show the United States has fallen far behind all the other advanced countries and even many from the third world on a wide range of indices from education to infrastructure, poverty, homelessness, healthcare, upward mobility, economic inequality, and prison populations. 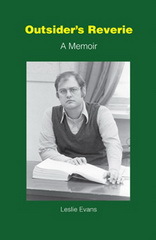 “The Strange Case of Ahmad Kamal” tells how the CIA in the 1950s foolishly introduced the Muslim Brotherhood into Europe in hopes it would win over Soviet Muslims, as well as the story of the American adventurer Cimarron Hathaway, who, under the pseudonym of Ahmad Kamal, devoted his life to fighting for the independence of the Muslim peoples of Turkestan. “The Left and the Jews,” traces the attitude of the Marxist and anarchist left toward the Jews. Originally antisemitic, the socialist and Marxist Left came to welcome assimilationist Jews, while remaining hostile to Jewish national aspirations, calling on the Jews to disappear as an identifiable people. “Why the Middle East Is Always in Crisis” traces the fatal decisions of the Western Powers at the end of World War I to create states in the former Ottoman Empire that threw together peoples with profound religious and ethnic hostilities, making the Middle East a region of perpetual violent turmoil. “Bygone Days in West Adams” looks at some of the people and their homes in this once vaunted community on the edge of Downtown Los Angeles, from the days when a former gunslinger and singing waiter could become the richest man in America and an Italian immigrant farm worker could found the largest winery in the country. “The Hunger Ahead” looks at the end of the Green Revolution as population continues its geometric growth, while arable land erodes, aquifers are drained, and global warming increasingly imperils food supplies. Others look at the modern dictators and their opponents, the rightward evolution of the Republican Party, recent discoveries about the ancient religion known as Gnosticism, and L. Frank Baum’s Oz books. 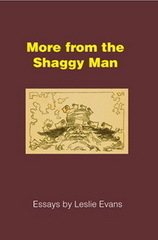 Here from The Shaggy Man’s Place (www.shaggyman.com), everything from ecological crises and religious wars to Edwardian authors, the scandal plagued city of Vernon, early computer games, and local Los Angeles history. International oil production has been frozen since 2005 while demand from our 7 billion and growing global population continues upward, forcing prices of oil, gasoline, and food ever higher. Our political leaders stake our future on a strategy of economic growth just as the planet is hitting its physical limits on nonrenewable resources, from oil to farmland to potable water. Here is a close look at what we really are up against — along with a review of the really bad experience with the Marxist alternative system. 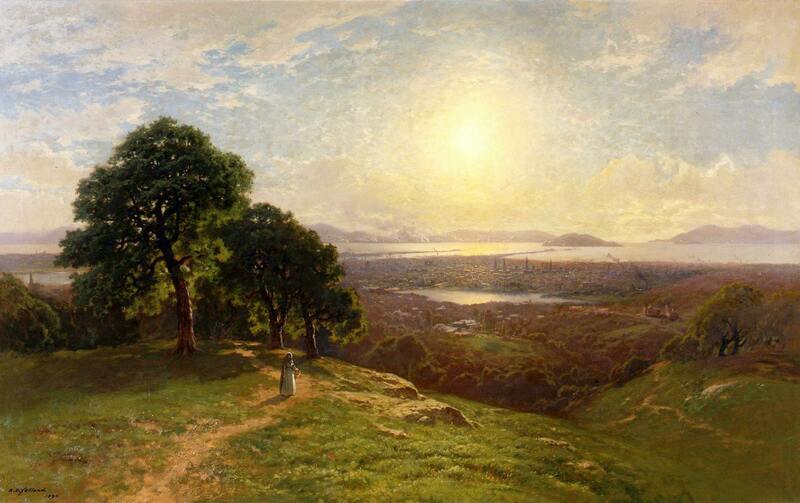 Since the Enlightenment we have expected religion to fade away. Instead it has become central to the identity of millions, from the Christian Right to Jihadi Islam, with ominous consequences. The media treats each outbreak of violence by jihadi militants as a separate event. They are also part of a global Islamic awakening that began after World War II and aspires to world hegemony for Islam, as Christianity once did a thousand years ago. Here is a look at the aims of the most famous of the jihadi theorists, Egyptian martyr Sayyid Qutb, a survey of Islamic battles on a world scale, and a critique of those who underestimate this foe. And on a lighter note, pieces on an odd leftist bookstore in Missoula, Montana, called Freddy’s Feed and Read, fabulist author Lord Dunsany, George Bernard Shaw, western lawman Wyatt Earp, a Romanian novelist who challenged Ceausescu and survived him, socialist millionaire John Randolph Haynes who gave California the ballot box initiative system that has become so troublesome today, and Doctor Margaret “Mom” Chung, daughter of a prostitute, who took out Mary Pickford’s tonsils and adopted 1500 U.S. airmen and submariners in World War II into her club, called The Fair-Haired Bastards. Leslie Evans, author of Outsider’s Reverie and proprietor of The Shaggy Man’s Place website, is a former Trotskyist, one-time iron miner, erstwhile editor for UCLA’s Asian Studies centers, the World Bank and the World Health Organization, and activist in Los Angeles’ historic inner city West Adams neighborhood. 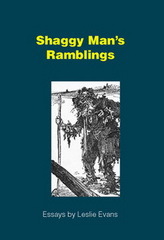 The Shaggy Man, a wanderer from Kansas, is a character in the Oz books by L. Frank Baum. Leslie Evans grew up in a home steeped in the lore of ghostly apparitions, spirit guides, star charts, and the astral plane. His parents met at a sÃ©ance conducted by a dead thirteenth century crusader. In high school he called himself an outsider, beginning a quest for mystic experience. At Los Angeles City College he organized a student political party with black nationalist ideologue Ron Karenga. In 1961 he was recruited to the Socialist Workers Party, American followers of Leon Trotsky. Over the next twenty years he rose to serve as managing editor of the English news service of the Trotskyist Fourth International, under Joseph Hansen, who had been Trotsky’s secretary and had captured Trotsky’s assassin. He was editor of the party’s theoretical magazine and the group’s China specialist, where he befriended Peng Shu-tse, an early leader of the Chinese Communist Party who once outranked Mao Zedong. In the 1960s the SWP masterminded anti-Vietnam War demonstrations that brought more protesters to Washington, D.C., than the entire city population. He chronicles the party’s growth in the mass antiwar movement, then its implosion in the early 1980s when younger party leaders turned on the old guard and staked their future on winning influence with Fidel Castro. Evans spent three years on the Mesabi Iron Range in northern Minnesota, two of them working in the iron mines. In later years he worked as web journalist for UCLA’s International Institute, and carried out assignments for the World Health Organization and the World Bank.